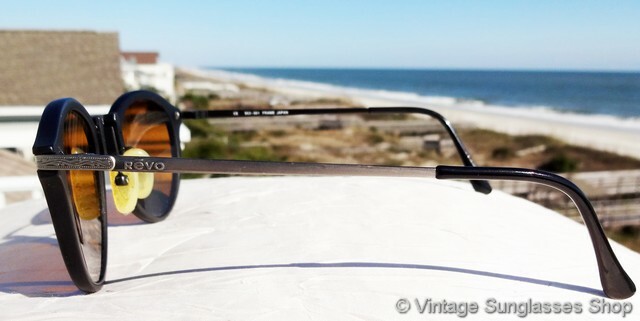 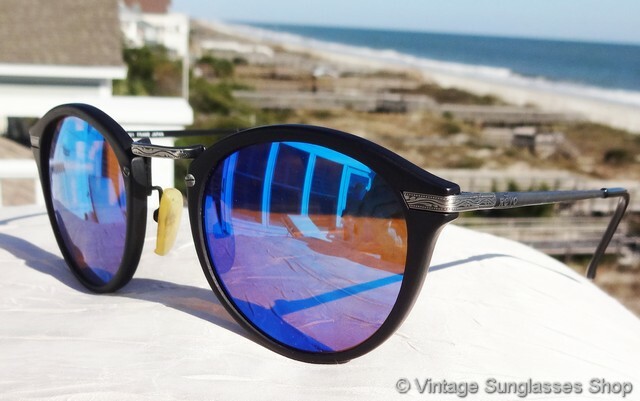 1 Vintage Revo 974 001 blue mirror sunglasses feature elaborate and detailed etching in the gunmetal silver nose bridge and ear stems complementing a matte black frame and Revo blue mirror lenses. 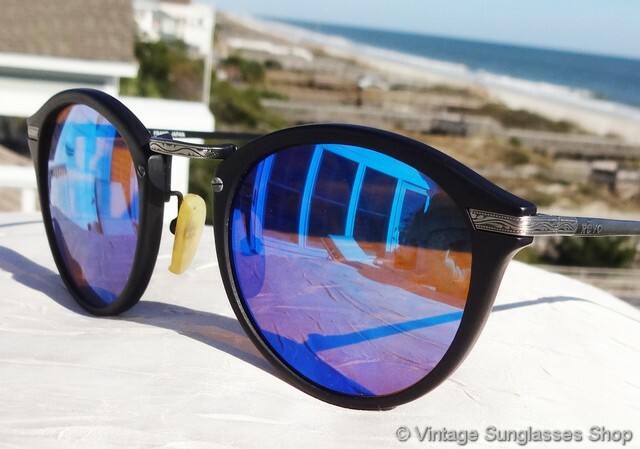 The combination of black, silver, and blue mirror is one of our favorites, and everything comes together for a stylish and elegant look Revo 974 sunglasses are a larger variation of Revo 953 sunglasses, suiting women who like the oversized sunglasses look and most men. 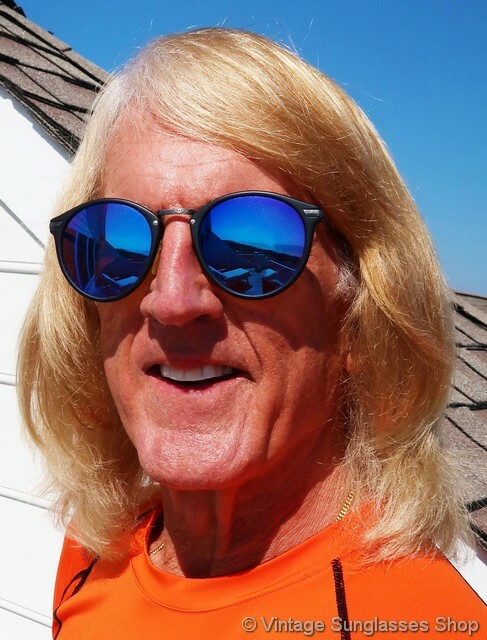 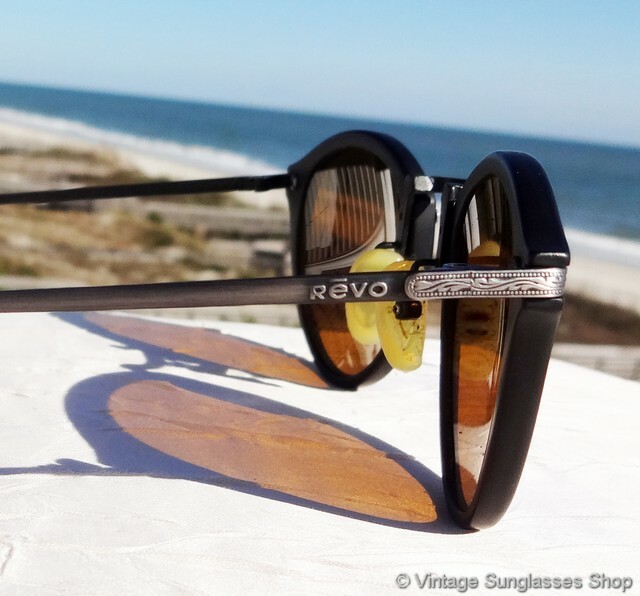 Revo 974 sunglasses have all the design features of the analogous and slightly smaller 953 line including the finely etched silver hinges that add flair to each of the 2 temples and hinges. 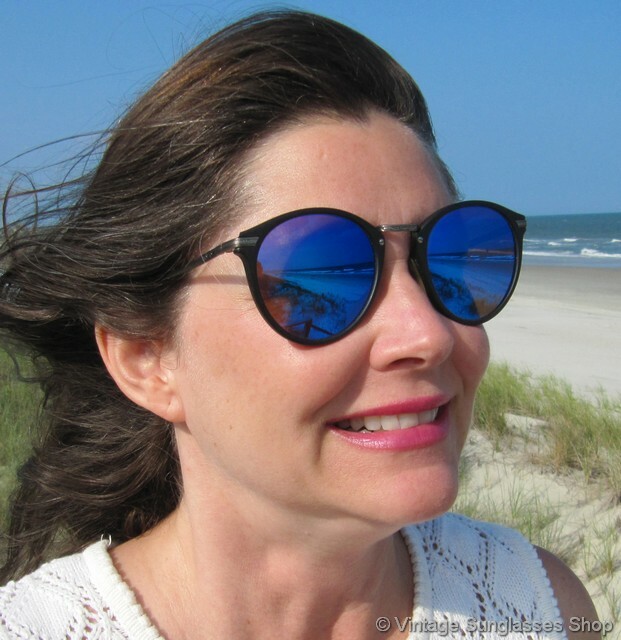 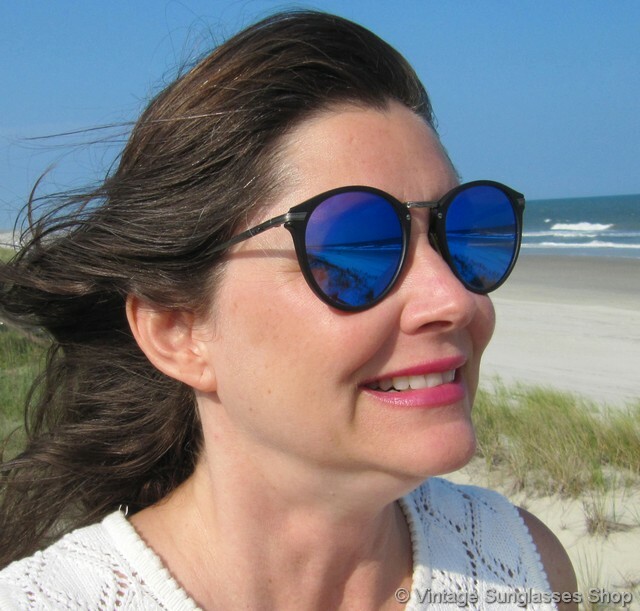 These Revo 974 001 have Revo blue mirrored lenses that measure approximately 2.0" x 1.875" at the widest points, and the unisex frame measures approximately 5.675" temple to temple. 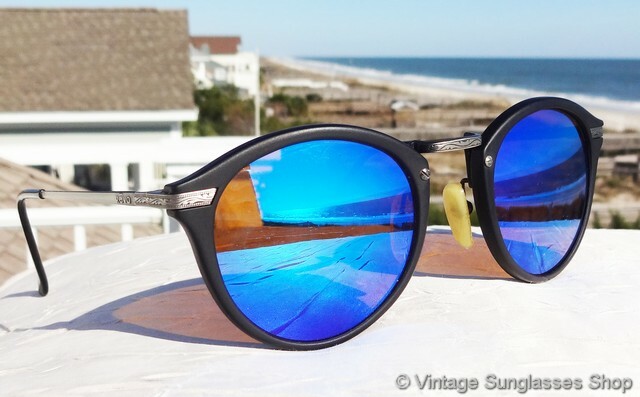 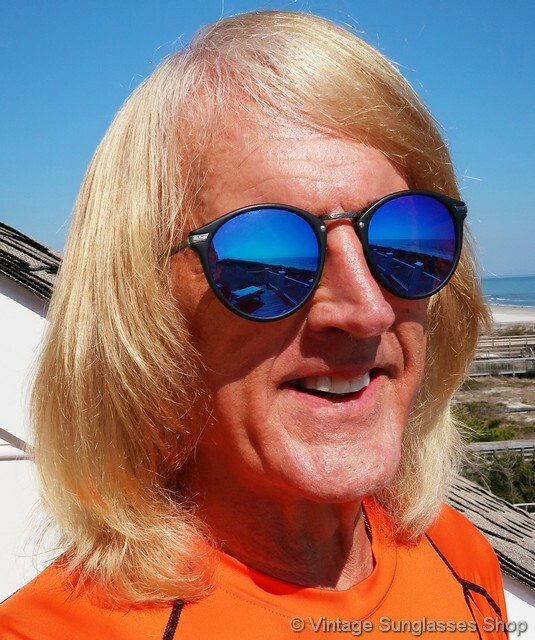 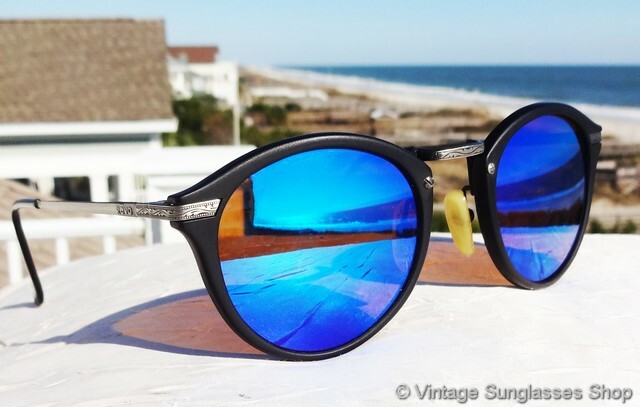 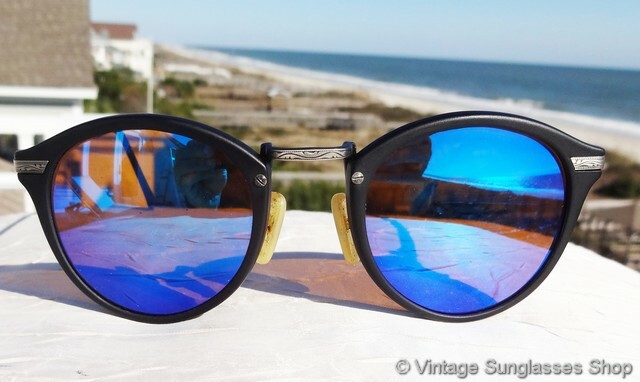 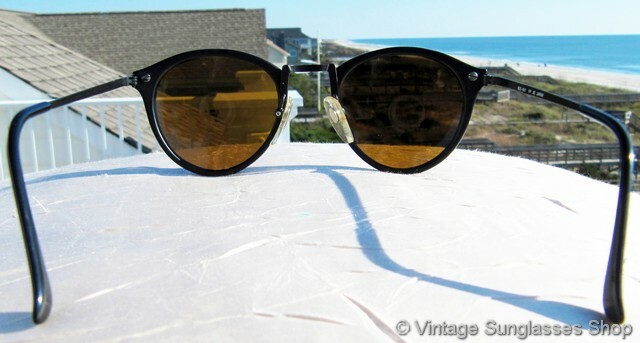 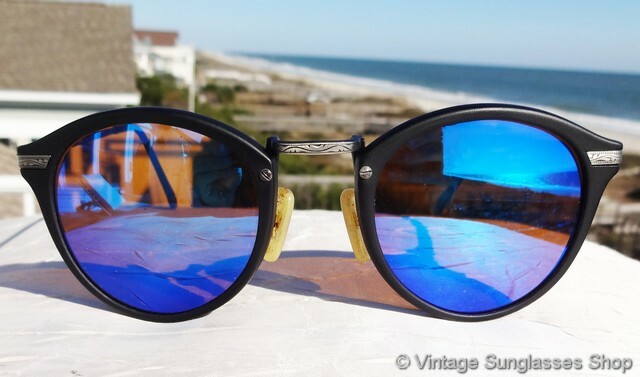 2 Step up another level beyond our already unequaled vintage condition standards with new old stock Revo 974 001 blue mirror sunglasses in mint, unworn condition.